A trip to Lonar was due long time and the time was perfect when I was in need of a break..It was holi weekend, so this time instead of colors we decided to spend our day among some of our archaeological marvels. It was a trip I was organizing through GHAC travel and Leisure where 19 of us started off from Hyderabad to visit Lonar Crater, Ajantha and Ellora caves. We started off with our train journey with some Biryani from Alfa, introductions and some mafia games. By early morning we reached Jalna where Ahmed Bhai was ready with a mini traveler to take us off. After some Maharashtrian breakfast of Poha we hit the road to take us to Lonar Crater which was our first stop. Lonar Crater is a saline soda lake located at Lonar in Buldana district, Maharashtra, which was created by a meteor impact. This lake, which lies in a basalt impact structure, is both saline and alkaline in nature. We reached Lonar by late morning. The plan was to go around a few places in the Lonar town and then take a walk around the Lonar circumference(~5kms) through the forest. 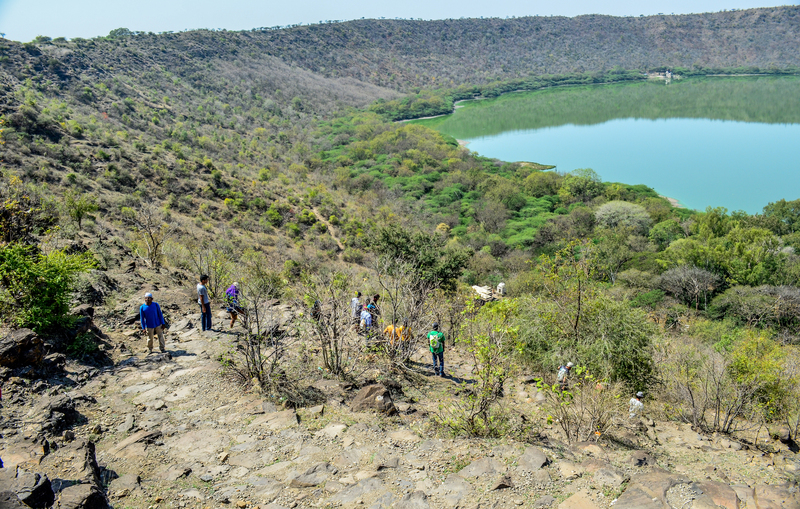 Going down to the Lonar Crater. 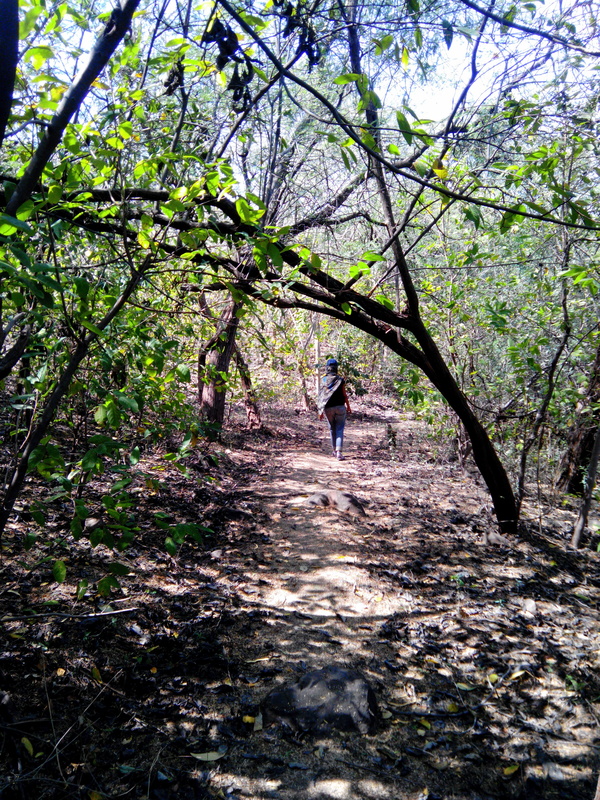 Walking around the Lonar Crater circumference through the forest. 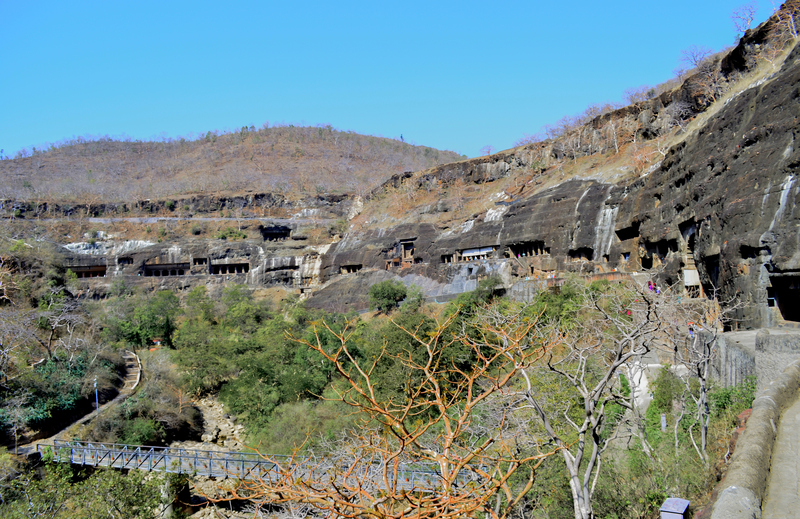 Numerous temples surround the crater, most of which stand in ruins today, except for the temple of Daitya Sudan at the center of the Lonar town, which was built in honour of Vishnu’s victory over the giant Lonasur. 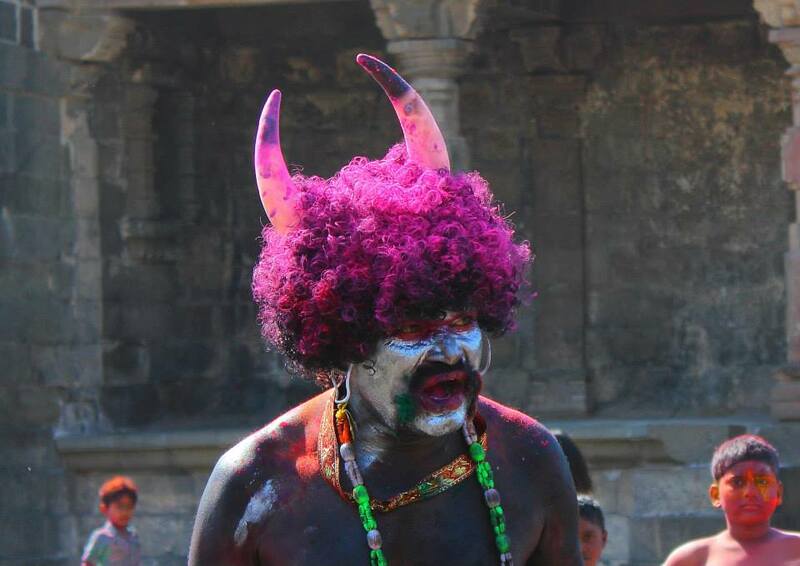 And it being holi that day the village was filled with all playing with colors. We our-self’s got a small tikha from the local rakshas. 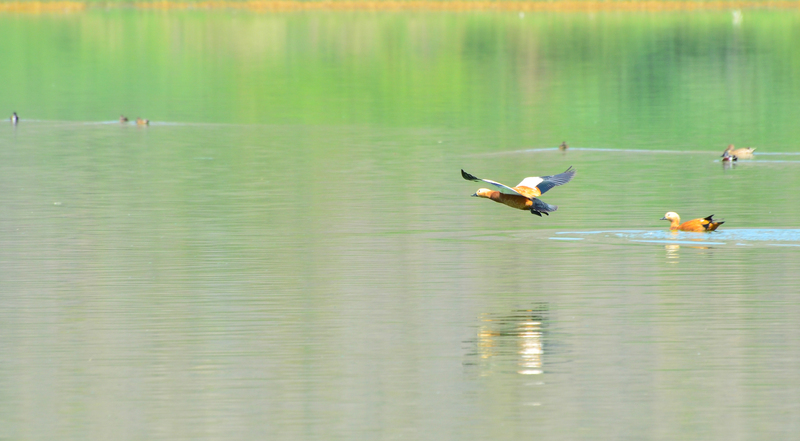 The algae which forms on the lake attracts lot of birds which makes it a paradise for bird lovers. Beautiful birds near the Lonar Crater. 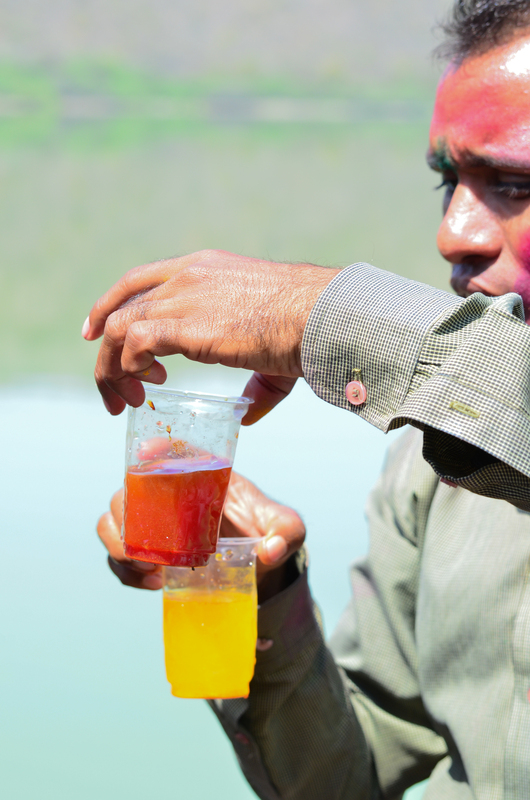 Our Guide showing the alkaline nature of the Lonar lake’s water through an experiment. There are some lovely sculptures which are mostly ruins now, surrounding the lake. Many sculptures are inspired from the Khajuraho monuments. It was evening by the time finished our Lonar Walk, and with our hungry stomach’s we attacked the simple meal our guide had put together in his home. We then visited the view point and Motha Maruti temple where we see a huge statue of Hanuman in sleeping position which was built out of a magnetic rock. After a long day, it was time to go back to our hotel and hit the sack. 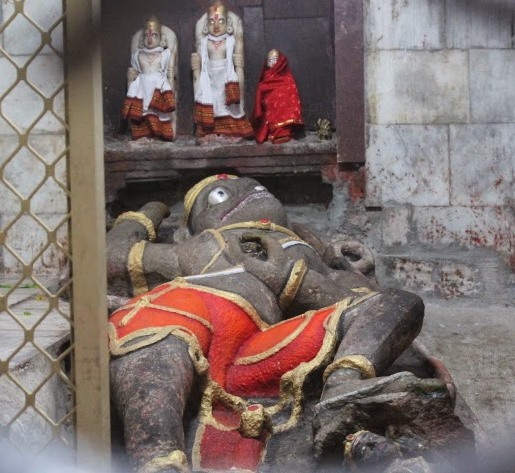 Motha Maruti temple’s Hanuman in sleeping position which was built out of a magnetic rock. 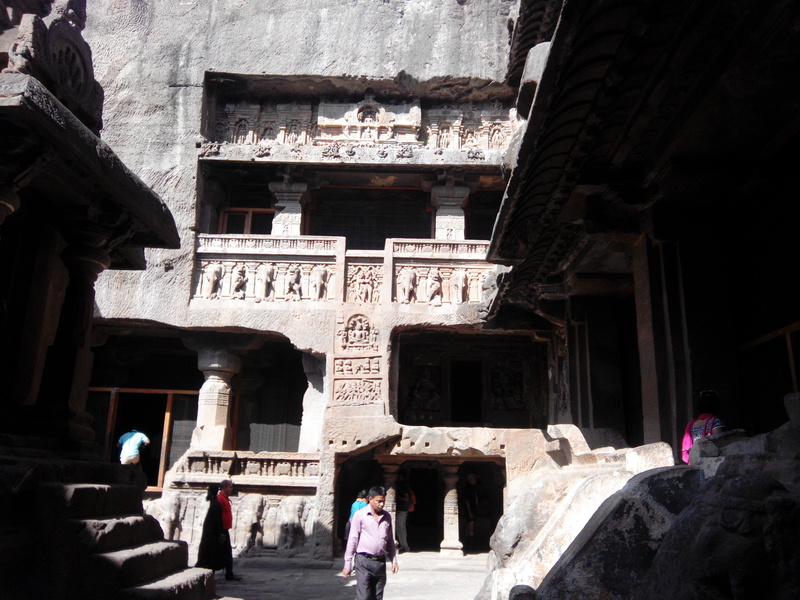 Day 2’s plan was to see Ajantha caves and we started off by 5am saying our bye to Lonar. We reached Ajantha by 10, just in time for the hot sun to scowl at us. 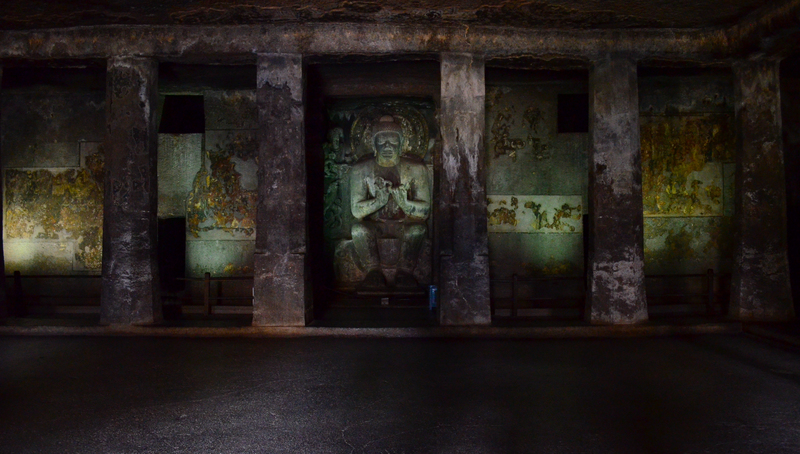 The Ajanta Caves are about 30 rock-cut Buddhist cave monuments which date from the 2nd century BCE to about 480 or 650 CE. 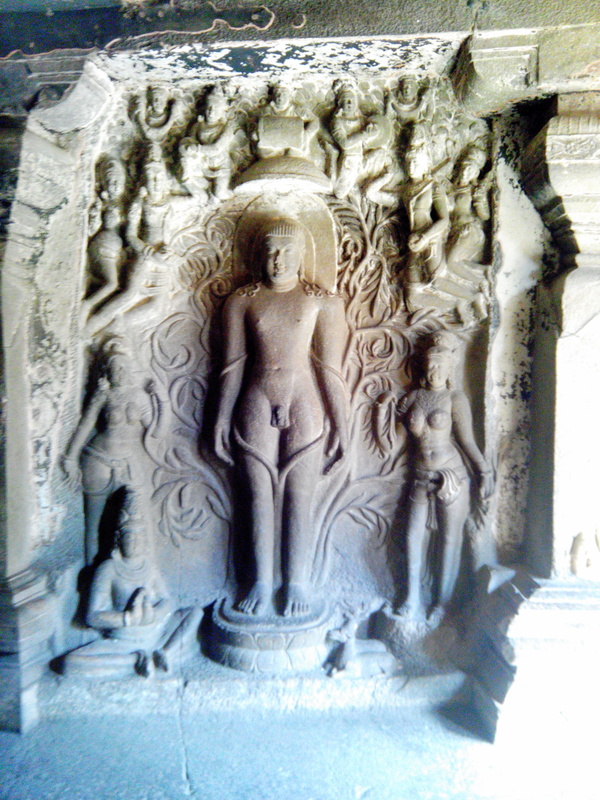 Buddhist Sculptures at Ajantha caves. 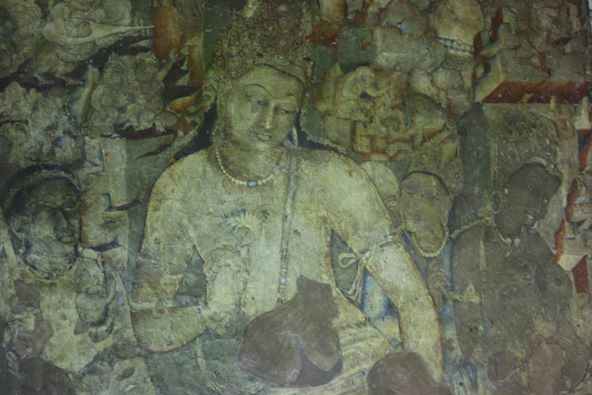 The caves include paintings and sculptures, described by the government Archaeological Survey of India as “the finest surviving examples of Indian art, particularly painting”. It simply is amazing that you are seeing something this old and still so beautiful. Painting of Padmapani at Ajantha. We went around the caves listening to the stories from the past. We saw some Buddhist monks performing some prayers which was a good experience to witness. Our next stop was Bibi-Ka-Maqbara in Aurangabad. It bears a striking resemblance to the Taj Mahal, hence it is called Taj of Deccan. 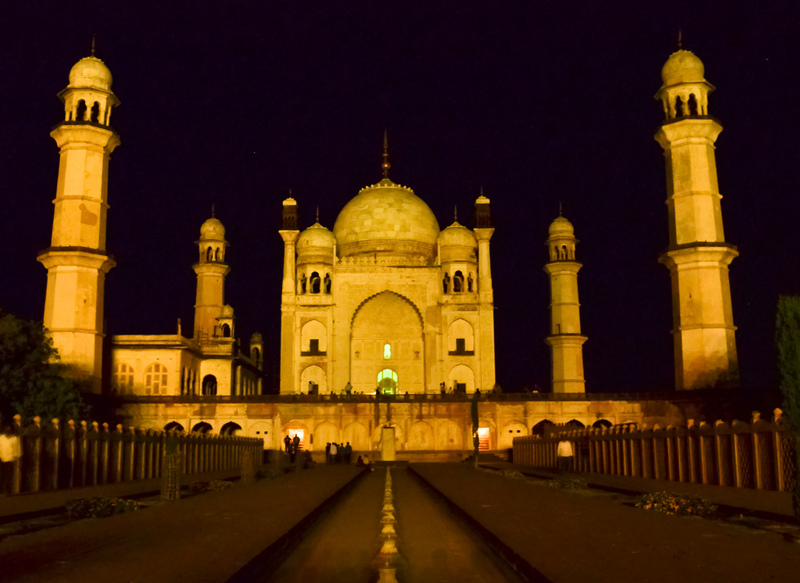 I missed seeing Taj in the moonlight but seeing Bibi-Ka-Maqbara in the night light was nice. While the photographers clicked away, got some time to relax and enjoy the view. With a hot day ending, it was time to hit our hotel and doze off. Bibi ka Maqbara, It bears a striking resemblance to the Taj Mahal. Day 3 was all about the historical city of Aurangabad. Grishneshwar temple, Ellora caves and Daulatabad fort. Donning our tourists hats, we started off with visiting the Jyotirlinga at Grishneshwar temple. There are 12 Jyotirlinga in total and it is believed that this is the Last. 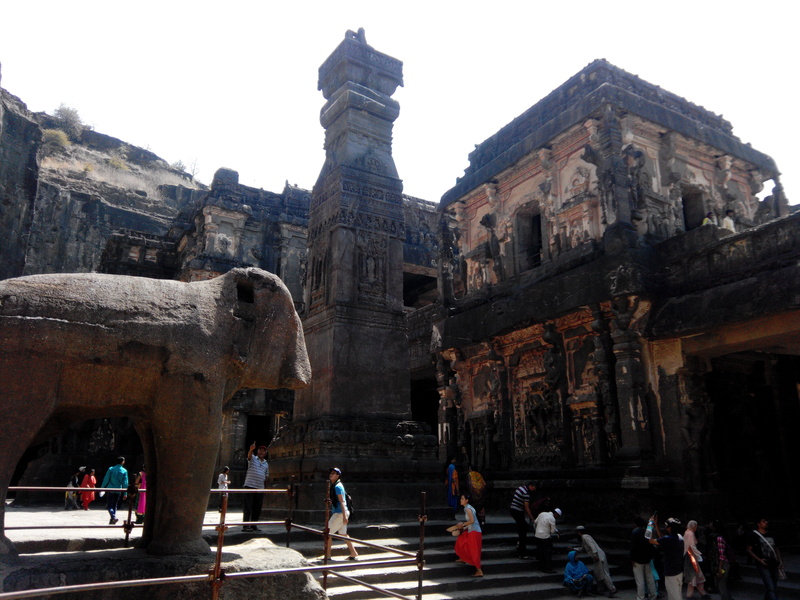 Then we headed off to Ellora caves. Ellora represents the greatness of Indian rock-cut architecture. 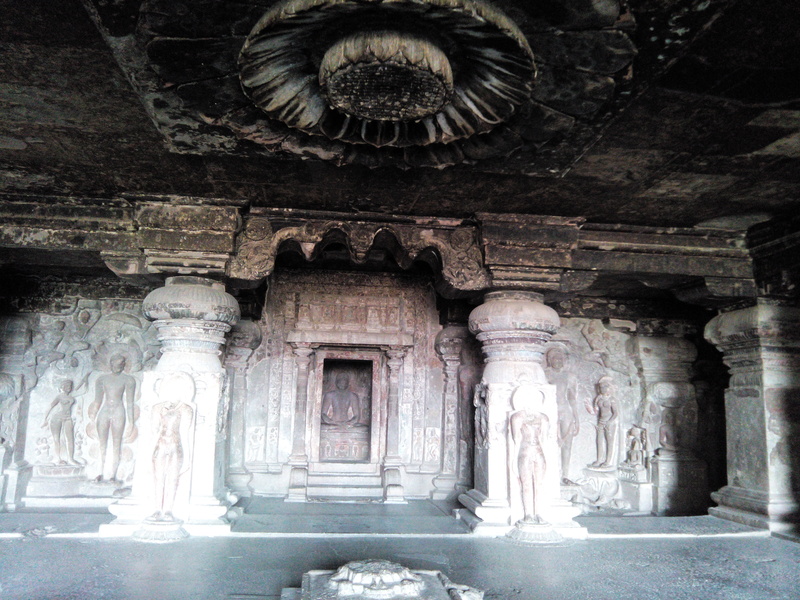 The 34 caves are actually Buddhist, Hindu and Jain rock-cut temples/viharas and mathas which were built between the 5th century and 10th century. 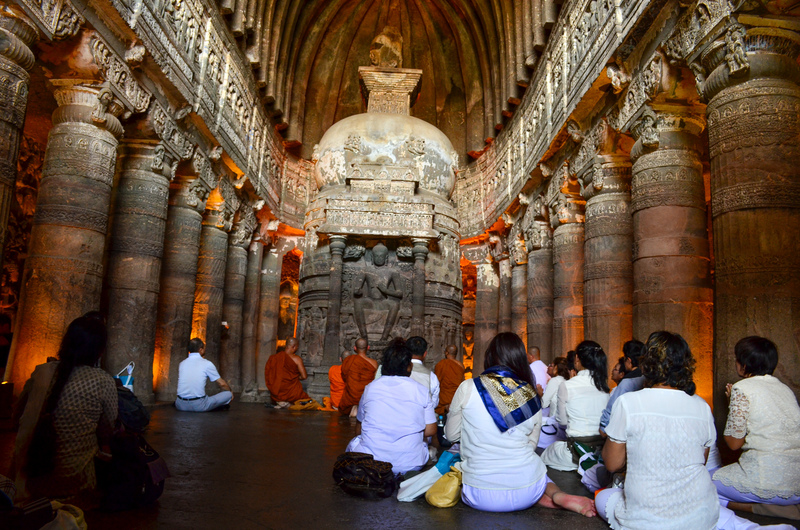 The caves are divided into 3 sets, 12 Buddhist (caves 1–12), 17 Hindu (caves 13–29) and 5 Jain (caves 30–34) caves. The sculpture’s were simply divine. Kailasanatha Temple, (Cave 16), Ellora Caves. 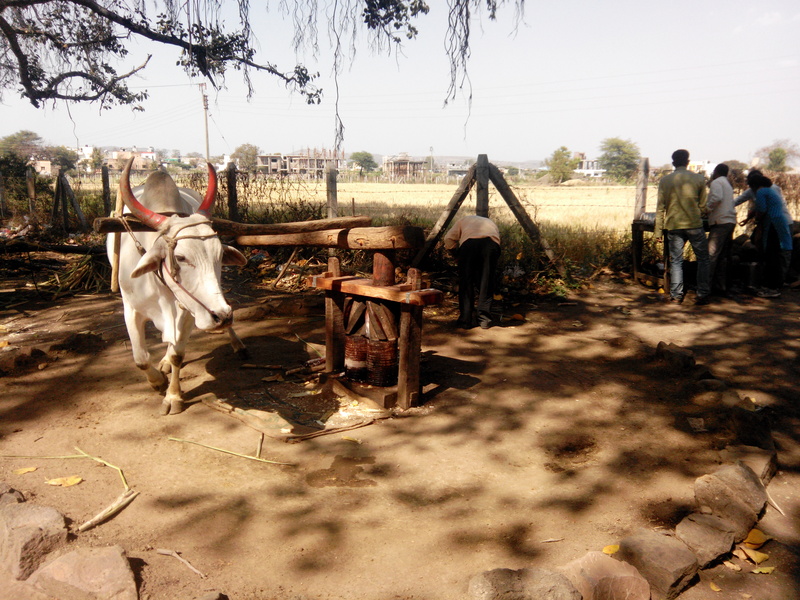 Got to relish some Ganne ka Ras (Sugarcane juice) grounded by an Ox instead of the machine we generally see. The Ox goes around some kind of a crushers which squeezes the juice out of the sugarcane. Ox going around the crusher which squeezes the juice out of the sugar cane. 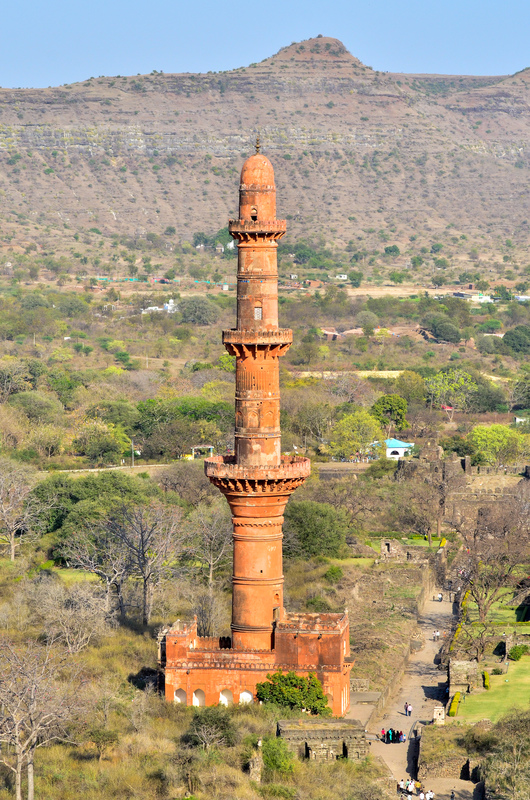 Our next stop was Daulatabad fort. It carries the history as one of the undefeated forts due to its complicated defense system. With just 700 steps to climb 🙂 we started off in the hot sun. There were some dark passages, nice staircase giving an insight on how they lived in old times. By the time we reached the top it was sunset time. Seeing the city of Aurangabad filled with orange light was an awesome sight. 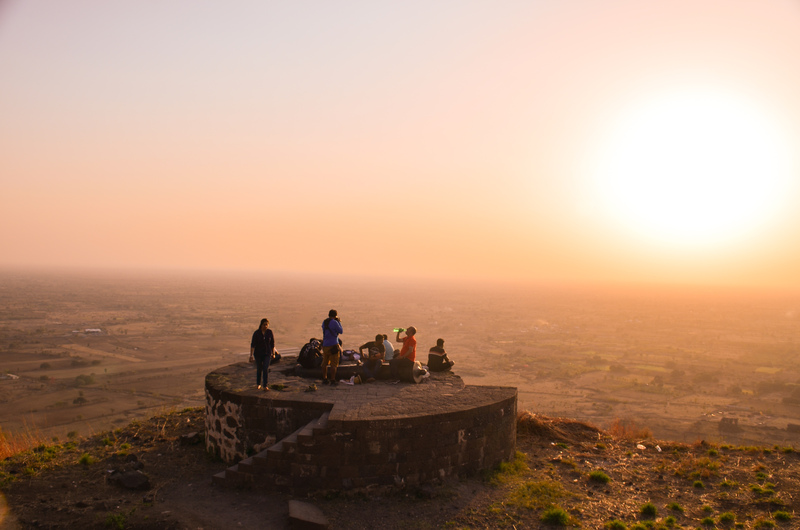 Sunset view of the city form top of Daulatabad. It was time to say good bye to the ‘City of Gates’ Aurangabad and head back to the ‘City of pearls’ apna Hyderabad. Over all it was a good trip which took us to lot of places which tells amazing tales about Ancient India.